Tower 371 was displayed out front today in remembrance of the victims of the terrorist attacks on September 11, 2001. 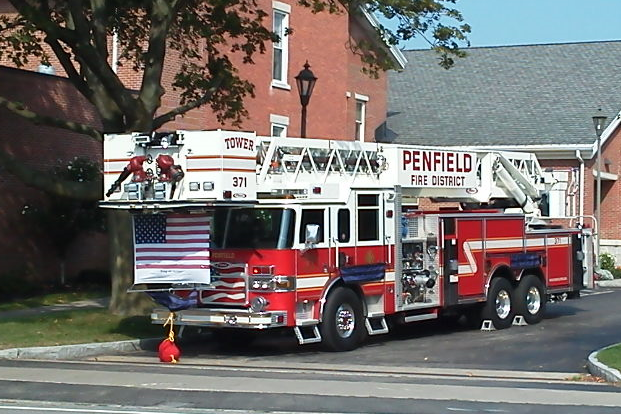 Displayed on the tower is the American hero flag listing the individuals lost along with the fire company's black and purple bunting. 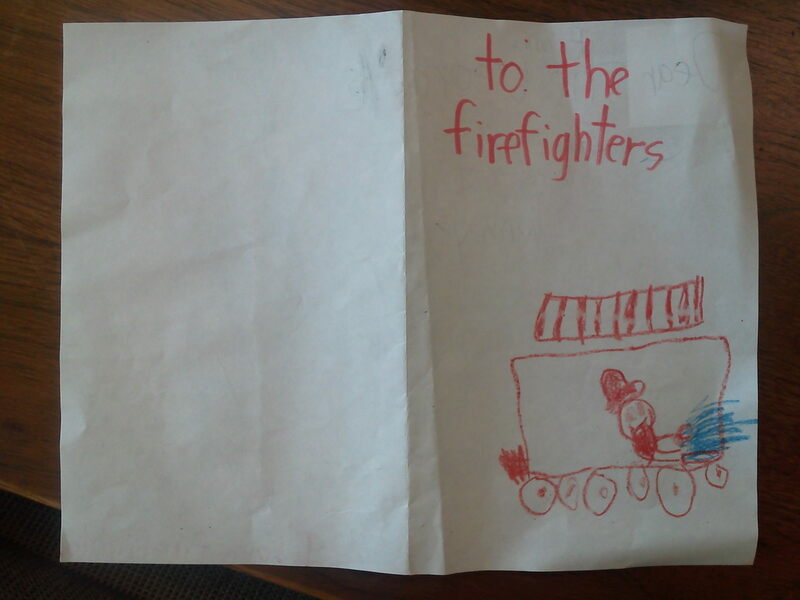 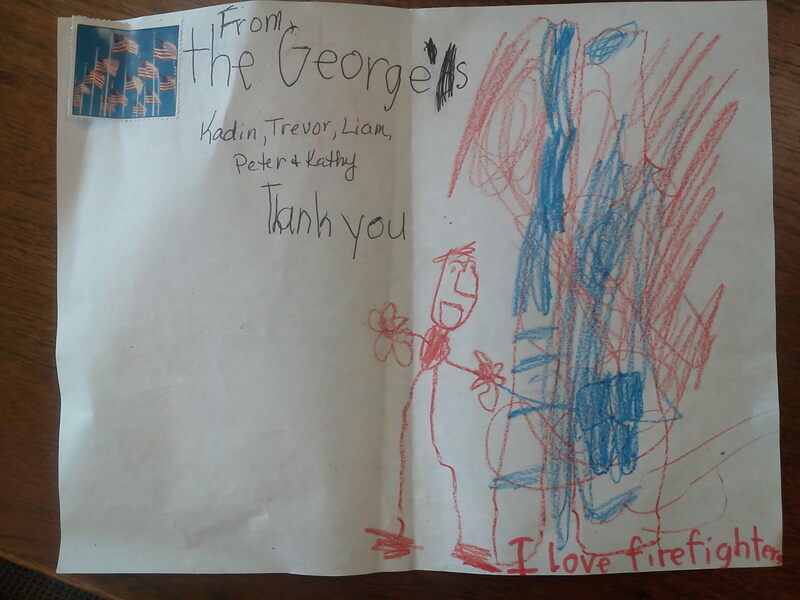 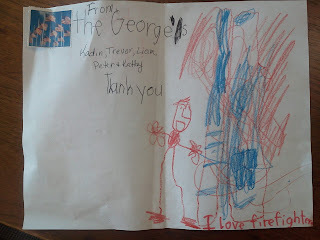 ** We'd also like to thank the Georges for thinking of us today as they dropped off this card and doughnuts for the volunteer firefighters this morning. 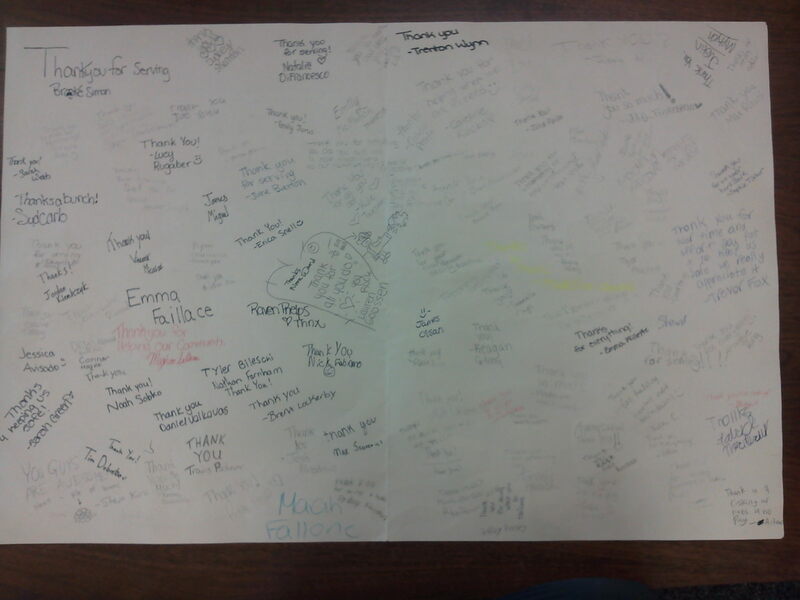 ** We'd like to thank the 7th grade students of the Bay Trail Middle School House B for thinking of us as one of the teachers just dropped off a Thank You card entitling 120 signatures. 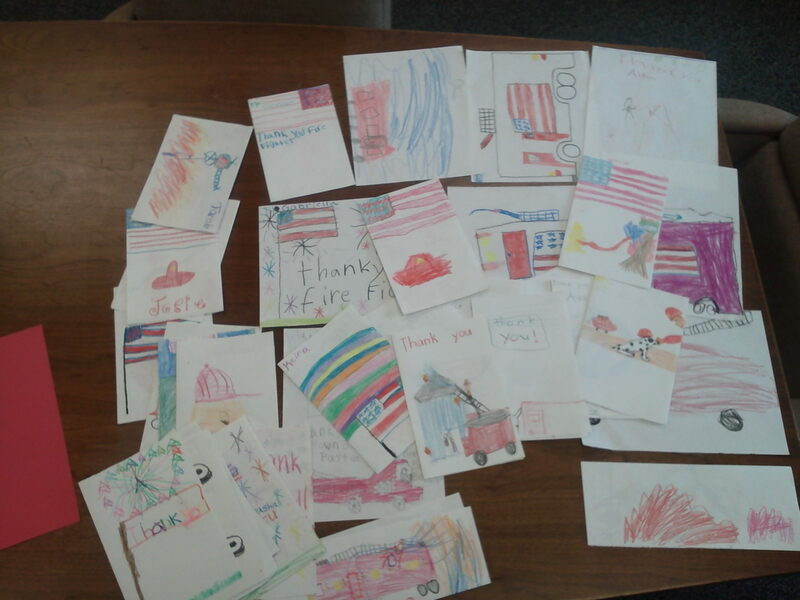 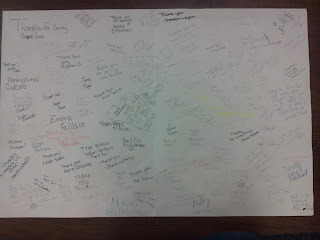 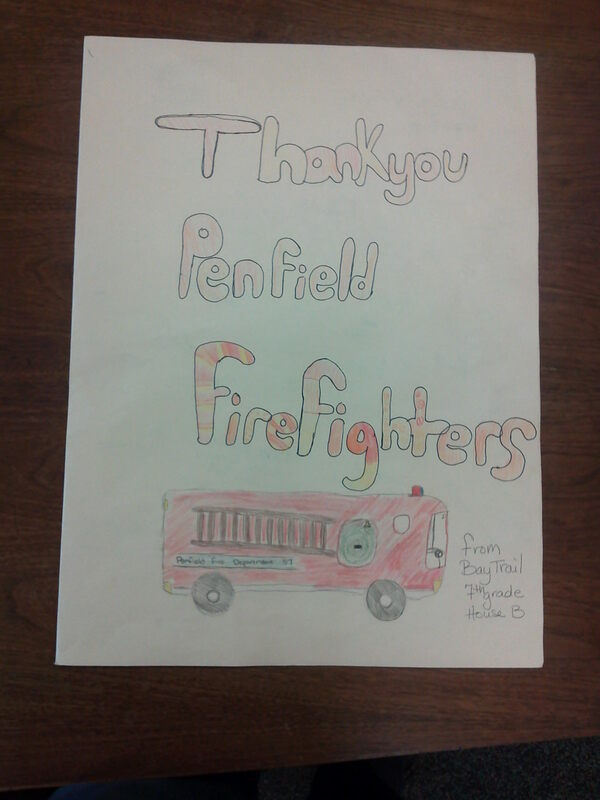 We appreciate the thought and well wishes from the students.